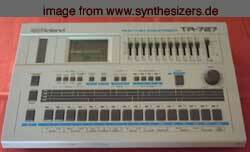 there are some on this site.. see synthesizer menu.. Ever wanted to fatten up your Nord Modular Sound? Take the Signal of one or more Filters (the mixer out) and feed it back into the external in, now carefully turn up the ext.noise where the signal comes back.. result: mo’phat :-)) and nice interesting „drive“..I often use this trick on a clavia nord modular, too – also adding a sinewave is also good for making it a bit bigger..
you can also always do that on the Q to add another 2 filters (for resonators) etc.. on then ord you can simply put the out into another in of the modular and use another slot for sound manipulation.. lets see what comes in os 4.0 ? hopefully on os x / os 9 mac too along with win xp. because the nord editor crashes in os x classic emulation box – will not come since clavia decided to discontinue software development on NM. did you ever wanted a better filter sound? if you found out better filters! tell me! but note: your modular can still do more, not always the need for more filter models! Weiter What is/Was ist HMT / Hermode tuning?